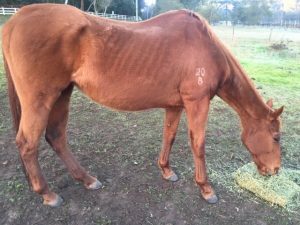 Horse Rescue Australia Inc. has operated for over 30 years rescuing, rehabilitating and rehoming abused, neglected and abandoned horses. We also aim to educate the public in the care and welfare of horses to prevent cases of abuse, neglect and abandonment arising. 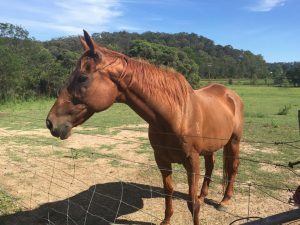 Horse Rescue Australia Inc. takes on cases of neglect and abuse from the RSPCA and the Animal Welfare League (AWL) who have the legal power to seize horses that are not being adequately cared for by their owners. We take on homeless horses that have been found straying and impounded by local councils. We also take horses surrendered to us by their legal owner where the horse is suffering neglect and sometimes showing signs of abuse. By remaining steadfast in our mission of only taking on horses suffering abuse, neglect or abandonment we are able to reserve our efforts for the ones who need our help the most. We then spent the necessary time and money to have them seen by vets, farriers, dentists, trainers, etc. to bring them back to health and rehome them with a carefully selected adoptive home. To ensure all our horses are safe for life we will always take them back should the adoptor’s circumstances change and they can no longer adequately care for the horse. Some of the horses we take on are too aged or too traumatised to be rehomed and they are given a home for life at our sanctuary. This enables them to live out their days with the best of care, in the company of other horses, with room to roam. The equines we take on come from all walks of life, from miniature ponies through to ex race horses and almost anything in between! We do however draw the line at donkeys because they have specialist care requirements and prefer the company of other donkeys. We refer those cases on to a specialist donkey rescue group. We have cared for mini’s, stock horses, appaloosas, thoroughbreds, pintos, paints, standardbreds, Cleveland bays, Welsh mountain ponies, Shetland ponies, Arabians………. They have come from breeding situations, children’s pets and riding ponies, competition horses, ex racehorses………. Sometimes we know their history, other times we don’t, but regardless we give them the best of care and nutrition possible to get them back on their hooves and into new loving homes. Our winter appeal is a simple call to arms when we ask people to buy breakfast for a rescue horse for just $5/breakfast. Pasture growth slows during winter so we must supplementary feed our horses more during this period. It also helps to keep the horses toasty warm. Our Melbourne Cup appeal is when we give members of the public the opportunity to contribute to the care and rehabilitation of ex racing industry horses, as an alternative to the usual sweep or bet. Our Christmas appeal is when we raise funds for a specific infrastructure project. Our inaugural appeal in 2017 saw us raise funds to provide paddock shelters to keep the horses cool in summer and dry during rain. Our biggest wish list project is to purchase our own property to give the organisation a permanent home. We are planning more educational opportunities in 2019 with the introduction of speakers or demonstrations on horse care and welfare to our regular volunteer days. We also plan to begin corporate visits which will combine some volunteer help for us with some knowledge gained for participants. It’s also a great way to recharge the batteries from a busy work environment. The organisation is run by our dedicated committee and our live in caretaker. Any bequest, whether large or small will be most welcomed and go towards the purchase of a property to give the organisation a permanent home to ensure it’s secure future. Donations will go towards the purchase of feed, vitamin and mineral supplements, vet care, dental care, hoof care, trainer and rent. 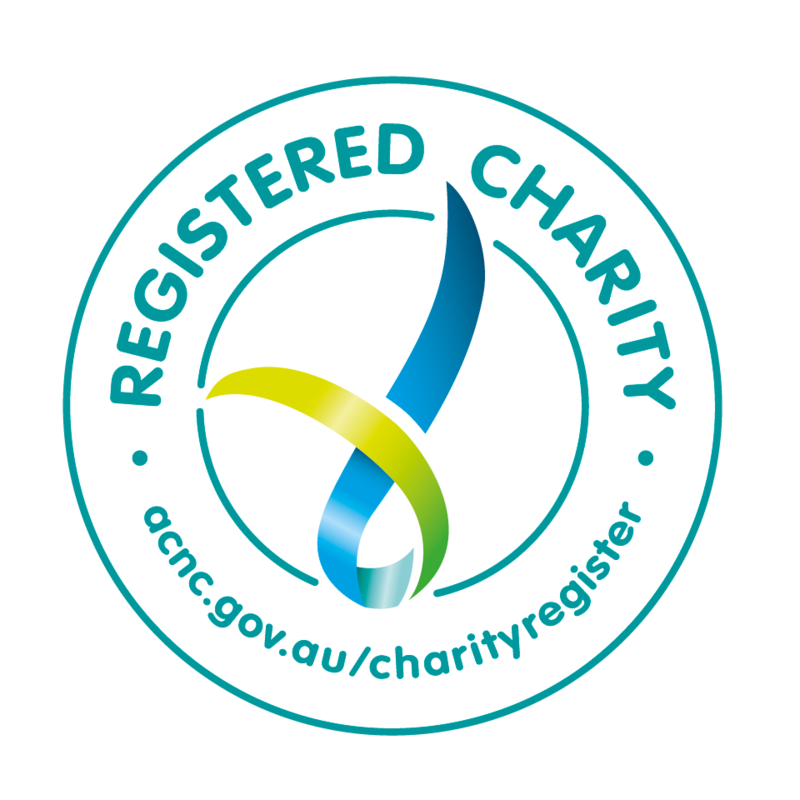 A small amount goes to accountanting and auditing fees to meet our ACNC obligations and make sure we are transparent in our use of donations, as well as the necessary insurances to safeguard the organisation and it’s wonderful volunteers. One off or recurring donations can be made towards the running of the organisation through GiveNow You will be sent an immediate tax deductible receipt. One off donations can be made through the PayPal Giving Fund using your PayPal account. Details for donation via EFT or cheque can be found on our website. You will be sent a hand written receipt within a few weeks. We also have a sponsorship scheme where you can choose a particular horse you like and sponsor his/her rehabilitation process. Sponsors are offered the special priveledge of visiting to spend some one on one time with their sponsored horse. You can take out annual or lifetime membership of our organisation. This will not only entitle you to a vote at our AGM, but you will receive our fabulous quarterly full colour newsletters. They keep members up to date on happenings around the property, new arrivals, adoptions, available horses, sad goodbyes and events as well as provide interesting articles on horse care and welfare. Members of the public are invited to donate 2nd hand horse gear (in good saleable condition) – we use what’s required for our rescued horses and sell the remainder at our annual 2nd hand gear sale. Examples of items accepted are summer and winter rugs (we have plenty of hoods and neck rugs), bridles, halters, saddle cloths, boots, feeders and girths. Our organisation is run entirely by volunteers. Unfortunately we are not in a position to accept any volunteers to work with the horses, or on the property, either during the week or on weekends. This is due to the unavailability (due to work committments or distance to travel) of committee members to supervise to ensure safety for both horses and volunteers. We do however hold regular volunteer days where you can come along and meet the horses, give them a groom and help us with a little paddock clean up or weeding. Anyone can attend, from beginners to seasoned horse people and even children (so long as they are carefully supervised by a responsible adult). We are interested in hearing from anyone who would like to volunteer their service for regular weekly website maintenance, quarterly newsletter publishing (MS Publisher) or occasional graphic design work for PR material for events or advertisements. We are also interested to hear from any professional photographers and/or videographers who live local to (or are prepared to travel to) Richmond NSW and have some experience in working with horses or live animals. We would like to have some film we could use to promote HRA at community events as well as good still shots to promote the horses on our website and in our newsletters.